Step 1- Assemble all your supplies and take the first pipe cleaner and form it into a circle as shown in the photo above. Set it aside. Step 2- Take another pipe cleaner and form your first clover or shamrock shape, make a loop and twist the pipe cleaner into place. 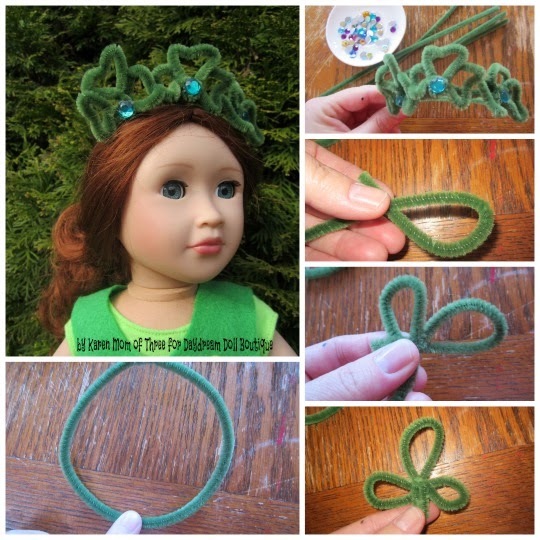 Twist another loop and twist it into place, and repeat on the third loop, you will have some pipe cleaner stem left at the bottom of the shape, you will use this to twist the clovers on to the round circle shape which will be the band of your tiara. Step 3- Repeat step two on the remaining two pipe cleaners. Shape the round part of your clovers into a heart shape with your fingers giving them the look of a clover leaf. 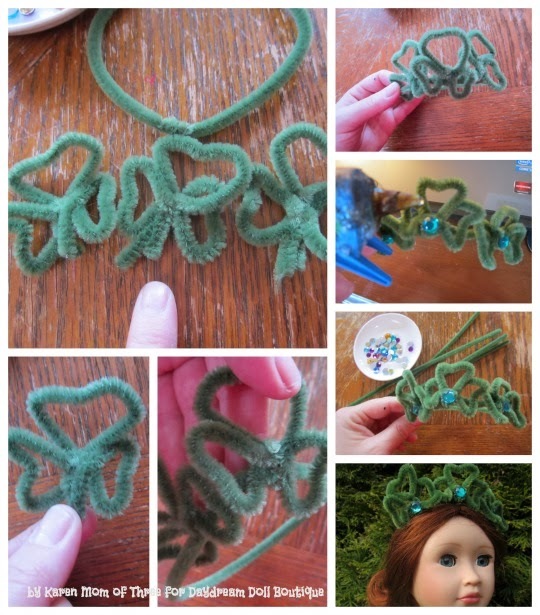 Step 4- Once you have your Clovers or Shamrock shapes made it is time to twist the stems on to the tiara band. Start with the middle one and add a clover on either side, twist the stems around the tiara base. Step 5-Heat up your glue gun or get a glue dot ready and in the center of each clover or shamrock shape press a gem stone. 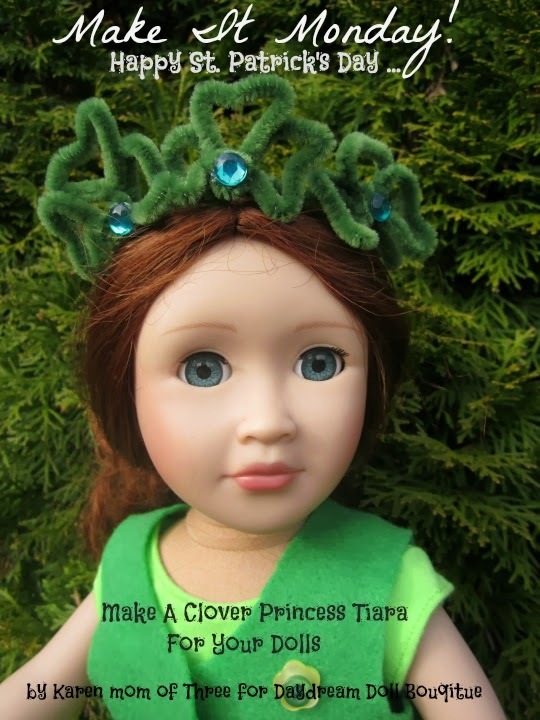 Step 6- Once dried you can place your Clover Princess Tiara on your dolls head! I hope you enjoyed today's post and that you have a wonderful St. Patrick's day! Today I used my Doll House Doll Ruby as the Clover Princess.